I never would have realised this myself, but WordPress just kindly wished me (or rather, this blog) a happy anniversary. I find it difficult to believe that an entire year has passed since I began looking in earnest at the networks of Pompeii as visible through the epigraphic record, and find it even more surprising that I have found evidence of so many types of networks, not just in the ancient city, but in Latin literature as well (watch this space for more on that). I have been amazed that the blog as a whole has had such a following – this makes the thirtieth posting, and the pages have been viewed nearly six thousand times. So, in looking back at the last year of my research project and this blog, I thought I would review the top five posts, in terms of popularity. (Note: I have excluded hits for pages such as the archives, about section, and the posts containing videos from the research seminar series held at the University of Leeds earlier this year, all of which had many hundreds of views. If you missed them, you can find them all here: The Present and Future of Vesuvian Research). 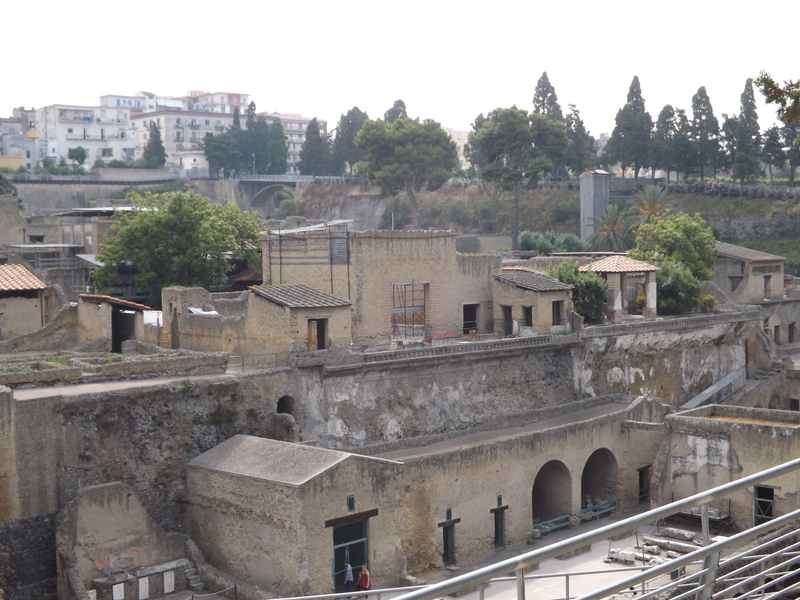 Despite working in Pompeii for many years, I have never had much occasion to spend time in its sister city, Herculaneum, primarily because much of the material I have worked on (tombs, namely) have yet to be found there. Thanks to Rebecca Benefiel and the Herculaneum Graffiti Project, however, my interest in the second city destroyed by Vesuvius has been piqued. Tremendously. 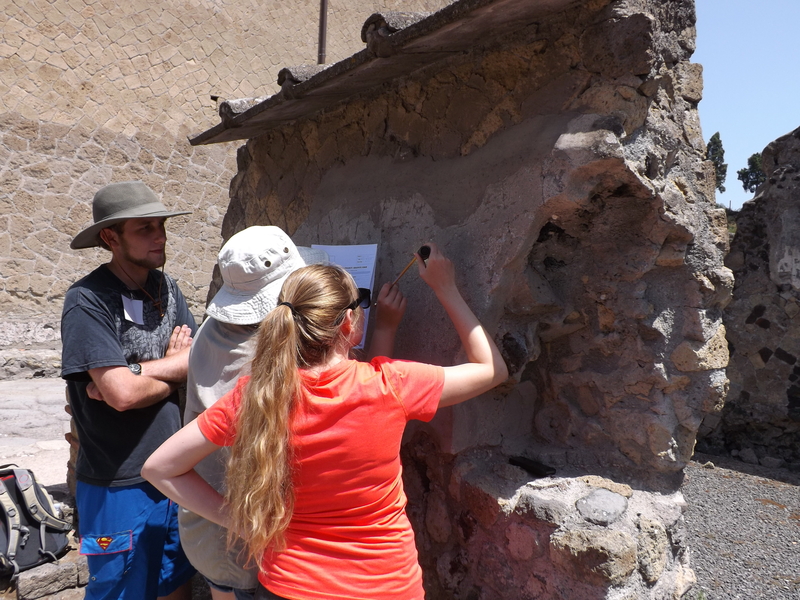 The Herculaneum Graffiti Project has a two-fold objective: to create a searchable database for the non-lapidary texts of the Vesuvian cities, and to document the texts, preserving the evidence digitally and making it more broadly accessible. As part of this endeavour, and working in conjunction with the Soprintendenza Speciale per i Beni archeologici di Pompei Ercolano Stabia, Epigraphic Database Roma, EAGLE Europeana, and the Herculaneum Conservation Project, the HGP has begun on-site work to record and document the graffiti and dipinti of Herculaneum. I spent the better part of a week taking part in the first field season for this project along with thirty other lecturers, post-graduates and undergraduates. Working in teams, we spent hours scouring the walls for inscriptions that have previously been attested, and hoping to find some new ones as well. When a text was found, it was measured, photographed, documented in a line drawing, and eventually, translated and entered into the EDR corpus. Despite having worked with texts of this nature for many years, it was a startling revelation to do so in situ, suddenly realising the difficulties in locating these often very small scribblings, deciphering the letter shapes of ancient handwriting, and understanding the meaning behind fragmentary words. It very quickly becomes understandable that much of this type of epigraphy has been missed, mis-read, and lost to the post-excavation elements. Thus, the importance of preservation, and simple efforts of conservation, quickly become apparent. Case in point: eighteen graffiti were recorded in one room of the Grande Taberna in Insula IV, but only one can still be seen today. This text (CIL IV 10529), an anecdote about the philosopher Diogenes written in Greek, survives because it is protected by glass and a small roof, which prevent weathering of the plaster into which the letters were carved. 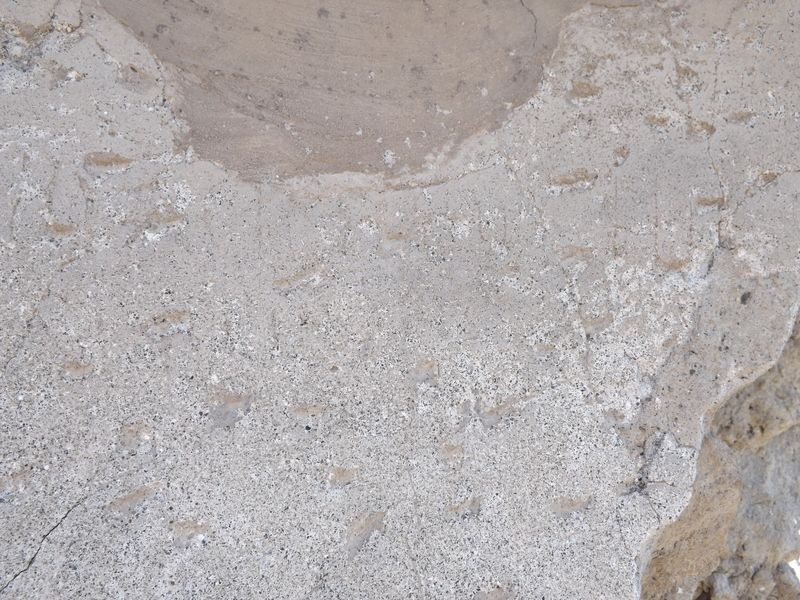 Likewise, there is an incredibly well preserved graffito (naming the Herculanenses) sheltered by glass and a roof in the House of the Painted Papyri (CIL IV 10520). The dipinto of the papyrus for which the house was named (CIL IV 10481), however, was not covered in the same way, and is no longer discernible. In comparison, one of my favourite texts (for undoubtedly obvious reasons), has been left exposed to the elements, and has thus deteriorated considerably not only since it was first recorded, but noticeably even in the twenty years since it was last photographed by Varone (1994: 487). Hyacinthus hic fuit / Verginiam suae s(alutem). Hyacinthus was here. Greetings to his Verginia. This illustrates not only the importance of continued efforts of conservation and preservation of the texts on the walls of Herculaneum, but also the importance of the Herculaneum Graffiti Project’s efforts to document and digitally preserve what is currently visible. I consider myself lucky to have had the opportunity to work with the project and this amazing group of people, and look forward to continuing to contribute to their incredibly worthwhile and necessary efforts.